SALISBURY, N.C. —Rowan-Cabarrus Community College would like to congratulate Dr. Janet N. Spriggs, chief operating officer for the division of student success, on her acceptance into the 2018-2019 cohort of the Aspen Presidential Fellowship for Community College Excellence program. Dr. Spriggs was selected through a rigorous process that considered her abilities to take strategic risks, lead strong teams and cultivate partnerships, and focus on results-oriented improvements in student success and access. 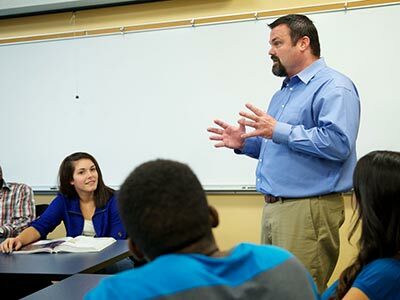 Over the next decade, more than 80 percent of community college presidents are projected to retire; creating an opportunity to develop leaders with the tools and vision needed to lead transformational change aligned to student goals and community needs. The Aspen Presidential Fellowship aims to respond by recruiting and developing exceptional leaders—a cadre of diverse, student-success focused reformers who collectively can push the field forward (The Aspen Institute, 2018). Dr. Spriggs and the 39 other Aspen Presidential Fellows will embark on a 10-month fellowship beginning in July 2018. Delivered in collaboration with the Stanford Educational Leadership Initiative, the fellows will be mentored by community college leaders who have had outstanding results for their students, learn from national experts about ways to use data to make their students more successful, and learn how to create healthy external partnerships with K-12 schools, four-year colleges, and employers in their community. 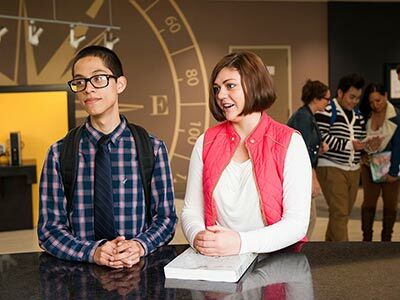 The Aspen Fellowship program is dedicated to seeking and developing talented leaders that reflect the diversity of the communities and students that the nations’ community colleges serve. Ideal candidates are motivated by the potential of community colleges to impact the lives of students and to grow the health and vitality of communities. Aspen Fellows aspire to be transformational community college presidents—those who will lead their institutions to achieve significant improvements in student outcomes and greater equity in educational access and success (The Aspen Institute, 2018). With the average community college enrolling about 14,000 students, each fellow who becomes a president has an opportunity to improve outcomes for hundreds of thousands of students over his or her career. To date, 20 Aspen Presidential Fellows are now sitting community college presidents at institutions that collectively serve more than 250,000 students nationwide. The Aspen Presidential Fellowship for Community College Excellence is supported by the Charles and Lynn Schusterman Family Foundation, College Futures Foundation, ECMC Foundation, Greater Texas Foundation, the Joyce Foundation, the Kresge Foundation, and The Andrew W. Mellon Foundation. To learn more about the Aspen Presidential Fellowship, visit www.aspeninstitute.org/pres-fellowship. For more information about Rowan-Cabarrus Community College, please visit www.rccc.edu/apply or call 704-216-RCCC (7222). The College is currently accepting applications for summer classes beginning May 21, 2018, and fall classes beginning August 13, 2018.